West London Apartments was launched in 2007 to provide short and long-term accommodation to corporate clients requiring serviced apartments in West London. West London Apartments is the trading name of Waterside Apartments Ltd, which was inspired by our first development at Waterside Park in West Drayton near Heathrow Airport. 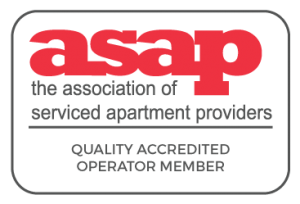 We have expanded rapidly since then and we now offer 90 serviced apartments throughout the west of London in Brentford, Chiswick, Ealing, Kew Bridge, West Drayton, Uxbridge. West London Apartments provides a home from hotel experience where you have space to work and also room to relax – in fact our serviced apartments are significantly larger than a hotel room of similar standard – and some 30% lower in price. You will enjoy the comfort and convenience of all our west London serviced apartments where we provide full internet broadband access with unlimited usage, Sky TV with a complete movie and Sports package as standard. On arrival, we provide our special Welcome Pack, to allow you time to settle into your accommodation, before you go shopping for groceries. This includes milk, butter, bread, fruit juice, cereals and spreads as well as a bowl of fresh fruit to get you off to a good start! We operate a “Meet and Greet” service for our guests to familiarise you with the serviced apartment, its location and appliances – and we are of course always at hand if you have further questions. Serviced Apartments offer the comfort and convenience of home with greater space and at a lower price than a hotel of comparable standard. Serviced accommodation of this sort is offered across the world, but because the market is still relatively young, global models and global operators are not common. In fact the accommodation varies quite considerably from country to country and even city to city. You will find similar accommodation listed under many different categories: aparthotels, residences, boardinghaus, short-lets, short-term accommodation, extended-stay hotels, corporate housing, executive housing and in the leisure market short-term holiday lets and holiday rentals. At West London Apartments we always operate a Meet and Greet service for our guests upon arrival. This ensures that the guest has a good experience without the stress of having to find keys via a key box or key drop, not needing to queue at reception to check in and having the opportunity to be shown how everything works in the apartment. We are so proud of our apartments that we love the chance to show off all the fantastic features including fast broadband and Sky Sports and Movies. We know that you will love the experience of staying with us too! Significantly larger than a hotel room of similar standard. Some 30% lower in price. Facilities in serviced apartments are more extensive that a hotel room. You will usually have a smaller public area, with facilities such as swimming pool or restaurant less common. The serviced apartments sector in the UK does in fact embrace several accommodation types from a building which includes several self-contained flats through to the extended stay aparthotel model which is very close to traditional hotel accommodation. For longer term housing requirements, please contact Harper Woods Estate Agents Ealing London.